Place shells on a baking sheet, and bake until lightly browned and crispy, 3 - 5 minutes. 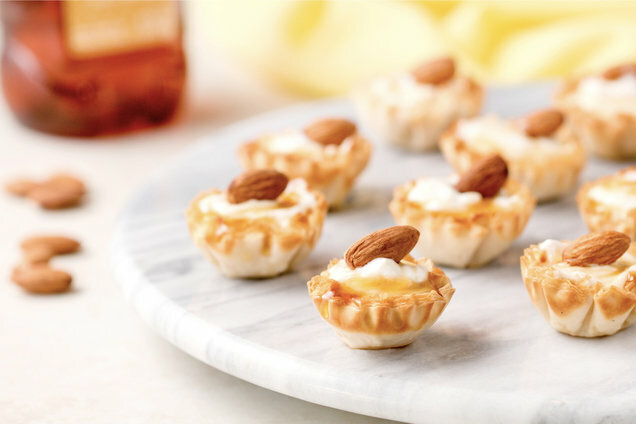 Just before serving, fill shells with yogurt and drizzle with honey. 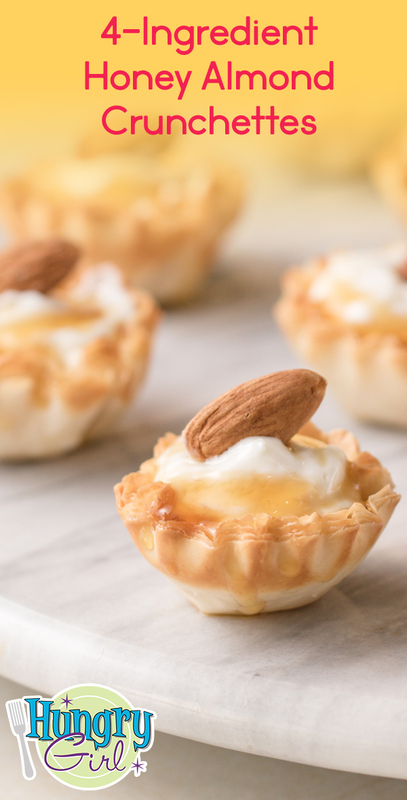 Top each with an almond. HG Tip: If you're not going to be eating/serving these immediately, store the empty baked phyllo shells at room temperature in a sealed bag or container. Hungry for More Desserts with 4 Ingredients or Less? We wish you a happy California Strawberry Day (March 21st), from all of us here in the Golden State. Raise a PB-rific Stuffed Strawberry in celebration! Help your pals get their sweet-tooth fix! Click "Send to a Friend" now.